The 2019-20 Central Tibetan Administration’s Budget proposes spending 4.5 billion Indian rupees (approx 65 million USD), consisting of funds from consolidated capital, tax collection (Green Book), and contributions. The budget was presented by Minister of Finance, CTA, Karma Yeshi in the Tibetan Parliament-in-exile for the consideration by 43 members from India, Nepal, US, Europe, and Australia attending the Budget Session. 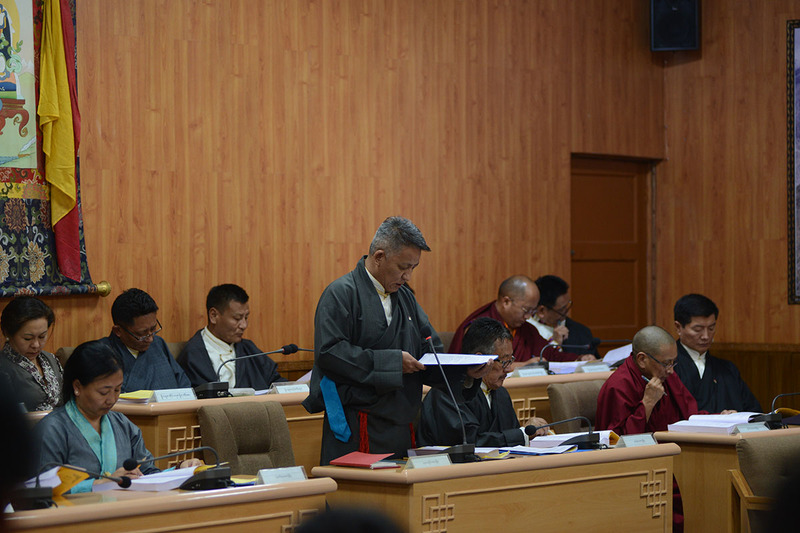 Although the members will have 10 days to review the budget, the Budget Estimate Committee of the Tibetan Parliament-in-Exile gave their approval to the proposal, with a few recommendations. Religion and culture are to receive spending of 65 million rupees. Health is to get 135 million rupees. Much of this fund will go to treatment of patients and development of community health care centres. Other programmes include health awareness workshops, particularly AIDs and substance abuse. Playgrounds will also be built. Education is funded at 540 million. These funds are appropriated for scholarships, improvement of the quality of education in schools, workshops, improvement of Tibetan language, development of educational institutions, and improvement of infrastructure in schools. Social services has been allotted 370 million rupees. This consists of looking after old and destitute people, vocational training of unemployed youth, and small businesses. It will also support housing and programmes for new-arrival Tibetans from Tibet, improvement of farming facilities, and emergency relief capabilities for those affected by natural calamities. Financial services will use 100 million rupees for financing schools, assistance for start-up businesses, cultural workshops for new staff recruits, and women empowerment. Political activities will get 65 million rupees. This will be used for connecting and organising conferences with Chinese, Tibetan awareness programmes, organising special meetings among Tibetans, as well as Tibetan support group meetings. The annual administrative expenses of CTA for the FY 2019-20 is expected to be 2,505 million rupees. Revenue from tax paid by Tibetans to CTA (Green Book) is expected to be 165 million rupees. In its report, the Budget Estimate Committee of the Tibetan Parliament-in-Exile said that the CTA has sought interim approval from the standing committee of the Exile Parliament 320 times in the last fiscal year, amounting to 232 million rupees, making 12% of the budget. This practice is said to be not respecting the parliamentary procedures, as seeking such approvals are conducted without the knowledge of the Parliament, except for the standing committee members. The approvals are often sought after the expenses have been made by the administration. The budget session was opened by the new Speaker Pema Jungney. He took over the charge from Khenpo Sonam Tenphel in December in the five-year term sharing between them.